The day is finally here. Marvel Studios has finally released the first Avengers 4 trailer, and it's just as awesome as we were all hoping for. 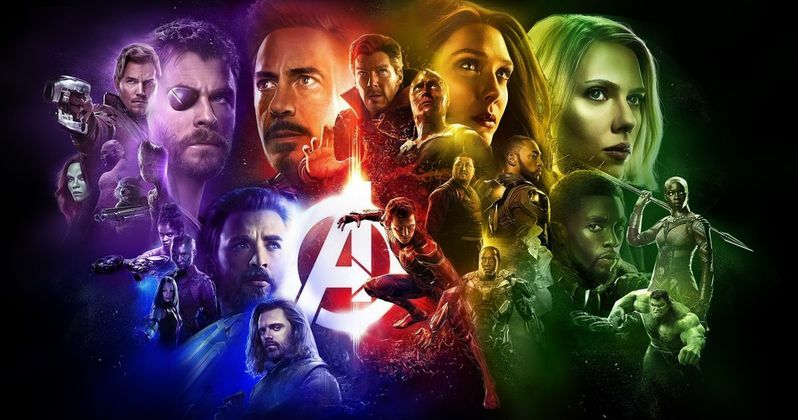 Joe Russo recently teased Marvel Cinematic Universe fans that the mythical trailer might not be released until 2019, but as usual, he was just low-key trolling everybody. Reshoots for Avengers 4 wrapped in October, and since then, it's just been an intense waiting game to see what the official title ended up being along with seeing the very first footage from the beginning of the end. As with nearly all trailers, and especially MCU trailers, the Avengers 4 trailer leaves us with a lot more questions than answers. It's hard to make out what exactly is happening with a bunch of scenes shown out of context, but that doesn't mean that the fan theories haven't already started to fire up. The Avengers 4 trailer is more than likely on its way to shatter the YouTube record breaking views of the Infinity War trailer as fans stop to freeze frame each second of the new footage. The Infinity War trailer currently holds the record for the most views in a 24-hour period as well as the most watched movie trailer of all time. As of this writing, it has 213.5 million views, which is over 100 million more views than The Force Awakens. Avengers 4 is building off of the hype of the last installment, so there's a good chance that it could eclipse the previous record in a short amount of time. Infinity War had beaten The Force Awakens in a matter of weeks, so we'll just have to wait and see how that all pans out. Obviously, the Avengers 4 title and trailer reveal are leaving fans thirsty for more information, but much like last time, the promotional campaign will more than likely roll on to be spoiler-free. However, there's a good chance that Tom Holland and Mark Ruffalo could inadvertently give out more information than they're supposed to. Depending on your view of spoilers, it may or may not be a good time to follow or unfollow Ruffalo and Holland on social media. The same thing goes for whether or not to watch an interview with either one of those guys. Now that the Avengers 4 trailer has dropped, the real waiting game begins. We still have Captain Marvel up next, so it we should expect the second trailer for that project next. It's going to be very interesting to see how Marvel Studios is able to promote the standalone Carol Danvers movie, Avengers 4, and Spider-Man: Far From Home since they all come out so close together. So far, everything seems to be going pretty smooth, but it's going to get tricky once Captain Marvel is close to hitting theaters in March. You can watch the very first Avengers 4 trailer below, thanks to Marvel Studios.